Now is a great time to invest your hard earned savings in an Italian property that you can escape to and unwind. Sales of residential properties increased by 18.6 percent in the first quarter of 2016 according to Italy’s official statistics bureau istat.it. The enthusiasm for buying a home in Italy is showing little sign of diminishing as we go into the autumn. During the summer it can be too hot to be travelling around viewing houses and some Italian estate agents close down for August. Now in September comes the big surge of interest from people wanting to view the properties they’ve researched online over the summer. If you have money sitting in savings accounts, even off-shore, you will know that they are yielding very little interest at the moment. More people are now enjoying the benefits of putting their savings into second homes where they can use their investment property for holidays and rent it out to tourists to cover the bills. One report published by Nomisma this year indicated increases in sales of holiday homes in Italy by as much as 16.1 percent at the lakes, 6.8 percent by the sea and 6.8 percent at mountain resorts. Lower prices are encouraging house sales in Italy. Property prices in Italy have been falling in recent years with prices across Italy averaging about 1.2 percent less than the same time last year. Prices in areas where demand has increased are, however, starting to see some price increases. Cities such as Florence in Tuscany, Salerno in Campania, Cremona and Lodi in Lombardi, Lecce in Puglia, Matera in Basilicata, Frosinone in Lazio, plus Caltanissetta, Agrigento and Trapani on Sicily have all increased asking prices. Property prices are generally higher in the wealthier North largely due to the presence of major cities such as Milan, Venice and Florence. Northern Italy has stunning scenery and is easily accessible from many European countries. All year round the fresh countryside air attracts those who want to escape from cities, such as Milan, attracting hikers and cyclists in the summer and skiers in the winter. 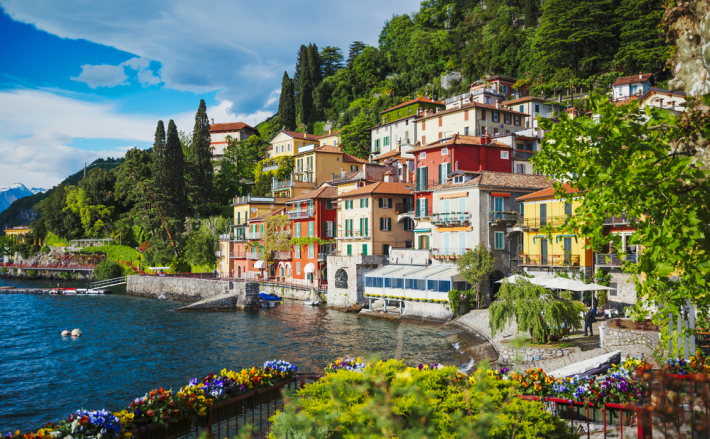 The Italian Lakes continue to be a popular place to buy a holiday home, as they are easy to reach and have a changing beauty with each season of the year. Lake Como continues to be very fashionable, partly due to the flurry of famous people that visit there. Lake Maggiore appeals to the elegant people of Milan, and Lake Garda is popular with the more outdoorsy types. Iseo and Orta are also attracting more attention. Property prices vary greatly by location. A popular spot right on the lake can cost millions, but a one-bedroom apartment further out can cost as little as £100,000. The stylish region of Liguria in the North West is also attracting house buyers and tourists, drawn to the pretty fishing villages of “Cinque Terre” and the varied coastline which includes many blue flag beaches. As the coastline is backed by mountains, many properties for sale are in elevated positions and offer amazing sea views. Property prices are cheaper than in the neighbouring French Riviera and many visitors arrive via the airports at Nice, Genoa, Pisa or even Florence. A holiday-let apartment in Portofino can earn some of the highest rental rates in all Italy. Southern Italy has long been looked down on by some Italians as the poor rural South. Yet, still they flood down in their thousands each summer to enjoy the sun, sea, food, wine and hospitality. It may not have the glamourous big cities of the North, but it does have a laid back rural charm, stunning coastline and most importantly, more sunshine and less rain than the North. The most popular southern region is Puglia, which can be reached easily by road and rail. With the number of flights to Brindisi and Bari airports increasing each year, the region has seen an influx of foreign tourists and subsequently it has become a good place to buy property to rent out to holiday makers. Traditional character properties such as Trulli and Masserie that have been renovated to a high standard are in great demand, especially if they have a pool. Property prices are much cheaper than in the North making it ideal for those looking for a cheap holiday home that they can rent out during the summer. 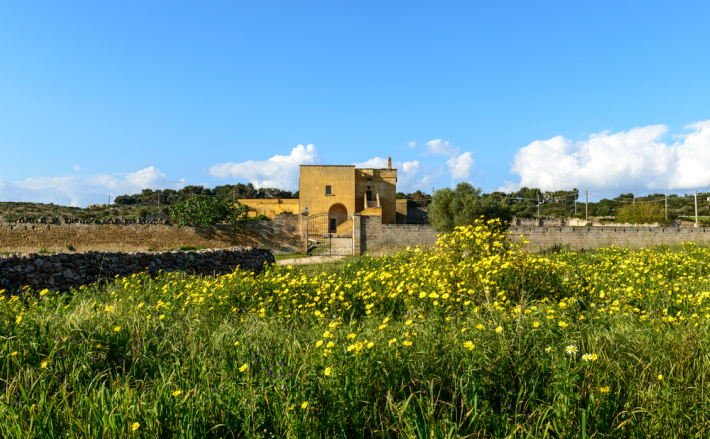 There are a lot of countryside properties available complete with olive groves, where you can totally unwind. Enjoy the slower pace of life in sunny Southern Italy. Popular summer tourist towns are Ostuni, Lecce, Otranto and Gallipoli. But, if you are looking for a relaxing haven where you can totally get away from it all, sat out on your terrace with a glass of local wine and a fresh salad, drizzled with your own olive oil, there are plenty of properties on offer in surrounding areas. Less touristy towns still have charming historic centres, shops, markets, cafes and restaurants with cheap prices and a chilled out atmosphere. The regions of Calabria and Basilicata are more rustic and relatively undiscovered compared to Puglia. They are both quite mountainous, with impressive coastlines. These regions are less accessible than Puglia. But, there are Ryanair flights to Lamezia Terme in Calabria and Basilicata can be reached from Bari airport. Sun-worshippers mostly head for the Calabrian resorts of Tropea, Capo Vaticano and Pizzo where you can find cheap holiday apartments for sale. You can still buy two-bedroom apartments for less than £200,000, even for as little as £67,000 in Pizzo. But, house buyers should be very careful and always employ an independent lawyer to thoroughly check all paperwork. Before your viewing trip to Italy it is best to do as much research as possible online to help you decide on the area that best suits your needs and get expert advice. 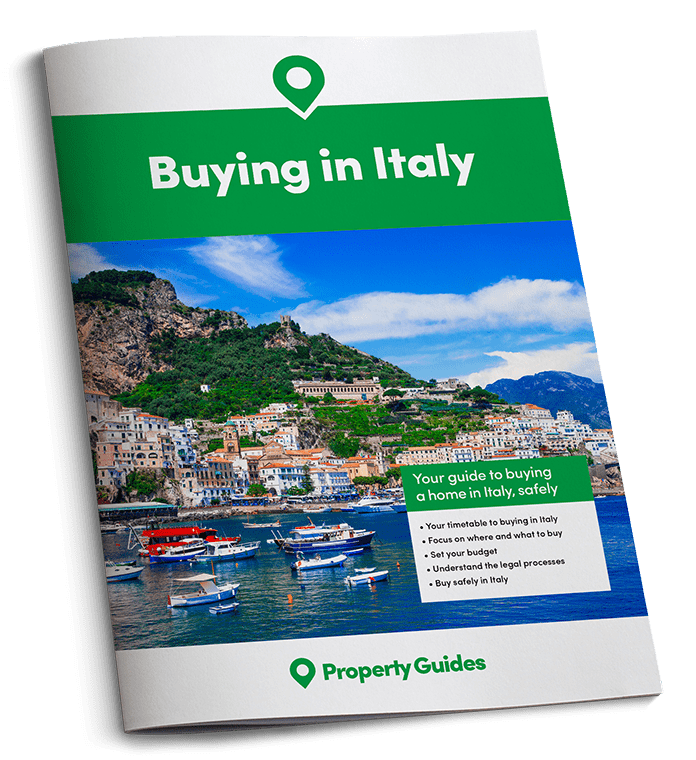 I recommend following this “Six step guide to buying a property in Italy”. Also, if you would like to meet the experts in person, why not visit “A Place in the Sun Live” at the NEC Birmingham from the 23rd to the 25th of September 2016. You will be able to ask questions about the buying process from the experts at “Property Guides” as well as lawyers and estate agents. For advice on getting the best rates when transferring money to make your property purchase look for the Smart Currency Exchange stand or visit their website. Presenters from the TV shows will also be there, including Amanda Lamb, who owned a property in Puglia. There will also be a selection of Italian properties on show in the Italian Property Pavilion or take a look at the A Place in the Sun website.